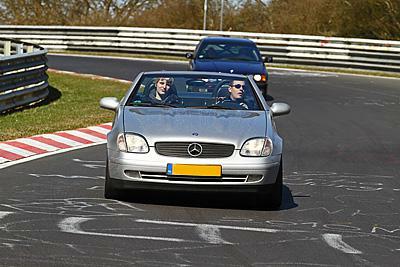 The Nürburgring is a motorsports complex around the village of Nürburg, Germany. 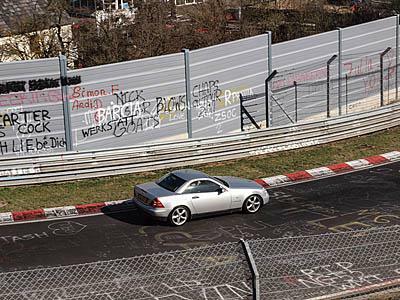 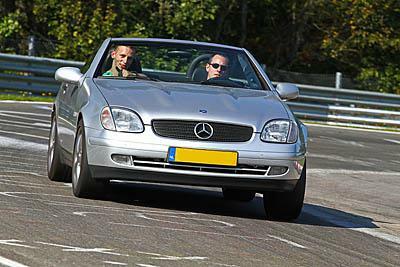 It features a Grand Prix race track built in 1984, and a much longer old Nordschleife track which was built in the 1920s around the village and medieval castle of Nürburg in the Eifel mountains. 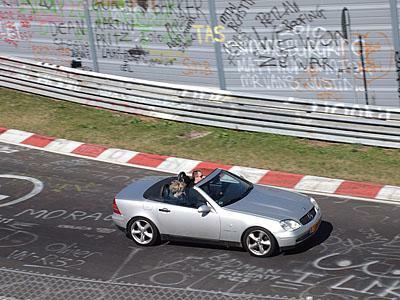 The old track was nicknamed "The Green Hell" by Jackie Stewart and is widely considered one of the most demanding purpose-built racing circuits in the world. 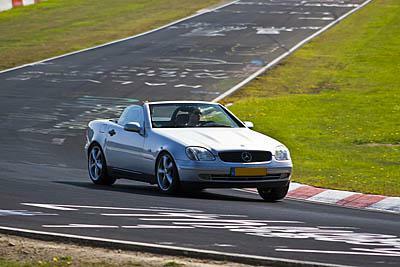 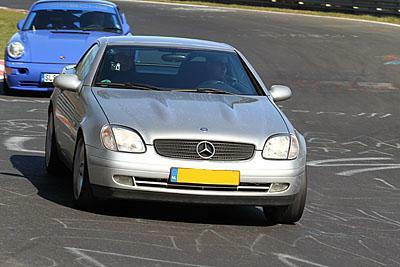 Currently I own a Mercedes Benz SLK 230 Kompressor, the experience of driving with the top down on the Ring is something truly unique!